Marco Silva insists Everton fans will want to win when their side host Manchester City at Goodison Park on Wednesday night. The game marks an opportunity for Pep Guardiola’s men to hurdle Everton’s city rivals Liverpool into top-spot in the Premier League on goal difference. 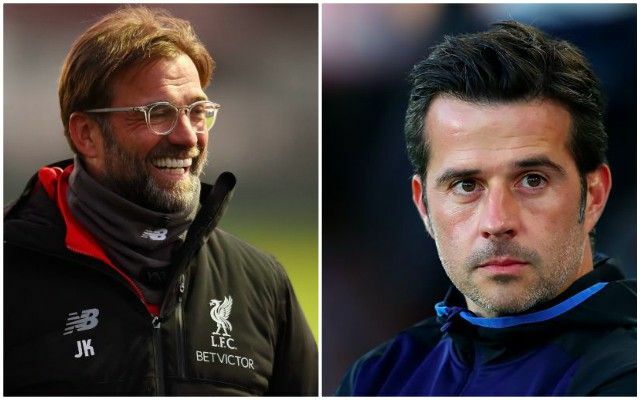 With such significant title implications in mind, some Toffees supporters have been seen to welcome a loss in favour of their Merseyside foes suffering a setback. Bizarre, right? Everton have themselves to worry about as they look to move just a point behind seventh-placed Wolves in the table. There is also the prevailing matter of pride when coming up against such a potent attacking side with the talent to humiliate opponents. Your team comes first, regardless of the potential impact on close rivals. To think otherwise would be ludicrous. Liverpool will have the chance to open up the gap again on Saturday when they welcome Eddie Howe’s dangerous Bournemouth to Anfield.